Our Pet of the Week is April! Does your dog need a pal? Four-year-old April might just be the one! 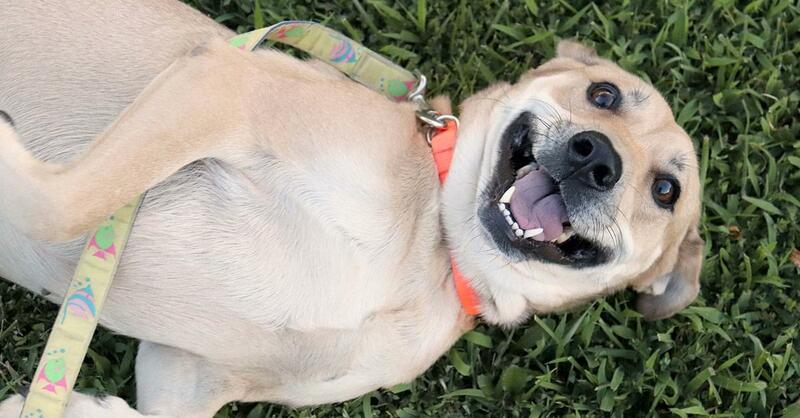 This sweet lab mix is looking for an active home that can handle her energy. She would love a fenced-in backyard—especially one with a swimming pool in it! April LOVES water and would enjoy trips to the lake or even running through the sprinklers in her own yard! She enjoys the heck out of walks and is on her best behavior once she has gotten her zoomies out. April is kid-friendly and would do best with adults who are willing to be lovingly assertive with her. Apply to adopt April! Fill out an adoption application today! Caravan Rugs, who can pick up, clean and deliver back to you, your valuable Persian and area rugs. Visit CaravanRugsNC.com today! Count on the best! That’s Caravan Rugs!